In March 2019, Varna University of Management received an official confirmation from the Quality Enhancement Directorate of our strategic academic partner Cardiff Metropolitan University, UK for validation of the programme „Gastronomy and Culinary Arts“. With this confirmation, our students within the 3-year culinary arts programme at VUM will graduate with two diplomas upon successful completion of the studies – a Bulgarian one, Professional Bachelor Degree in Gastronomy and Culinary Arts issued by Varna University of Management and a British one – BA (Hons) in Culinary Arts Management issued by Cardiff Metropolitan University. The validation is a result of continuous collaboration, as well as synchronization of programmes and curriculums successfully completed in the beginning of March 2019 with a validation event on spot at Varna University of Management in Bulgaria. As a result of the received high mark and the validation of one more programme, Varna University of Management now offers nine educational programmes leading to the award of a Bulgarian and British degree. Seven of them are bachelor degree programmes in the spheres of business and management, information technologies, hospitality and tourism and culinary arts. The remaining two are master degree programmes in Business Administration (MBA) and International Hospitality and Tourism Management. The Bachelor degree programme in Gastronomy and Culinary Arts is entirely taught in English and distinguishes with innovation, research elements and unique approach to the culinary arts. The in-house practical training of the students is conducted in the professional environment within the Culinary Arts Institute at VUM and under the guidance of our international team of chef instructors who have substantial practical experience in high-end restaurants among Europe, Asia, North and Latin America. In the period of their education, our students go on obligatory internships with a total duration of up to 12 months. They get the chance to work with some of the best chefs in the world, as well as to practice in Michelin star rated restaurants. All of this provides them with the opportunity to establish contacts, obtain skills and experience in a real working environment and put the basis for their successful future realization. 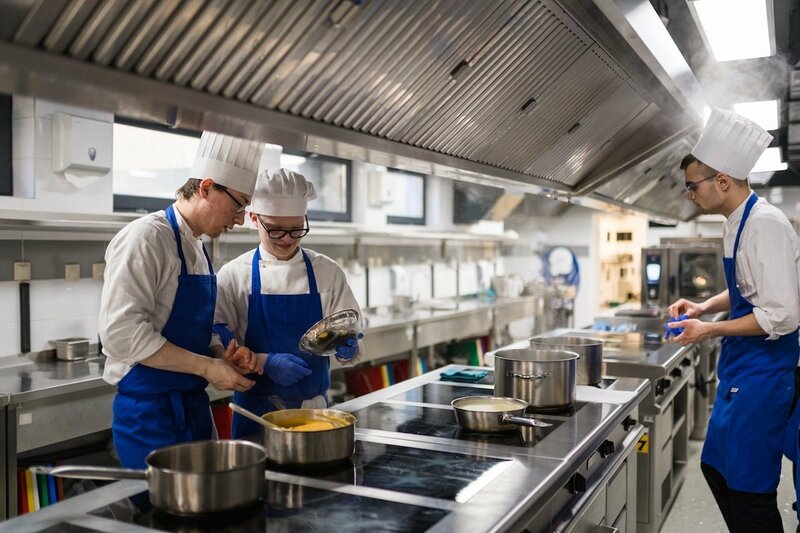 The Culinary Arts programmes at Varna University of Management are the only ones in Eastern Europe awarding a Bachelor degree within the culinary arts field.